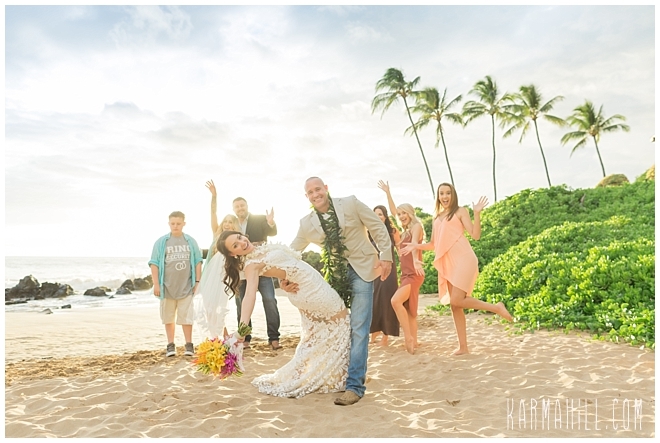 Bursting with laughter and joy, Laura made her way down the beach on the arm of her groom's sister and son. 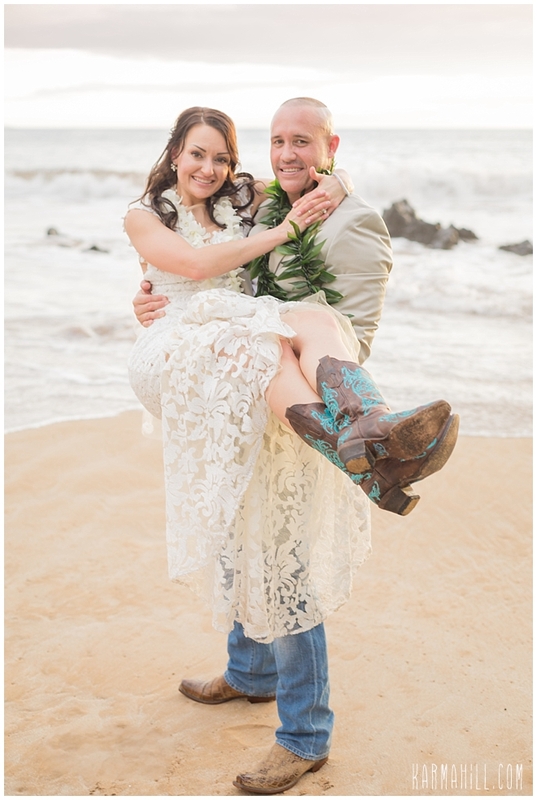 Waiting near the shoreline was a dashing Kenneth, aka Eric, looking like he could barely keep from rushing to her side and sweeping her off her feet. 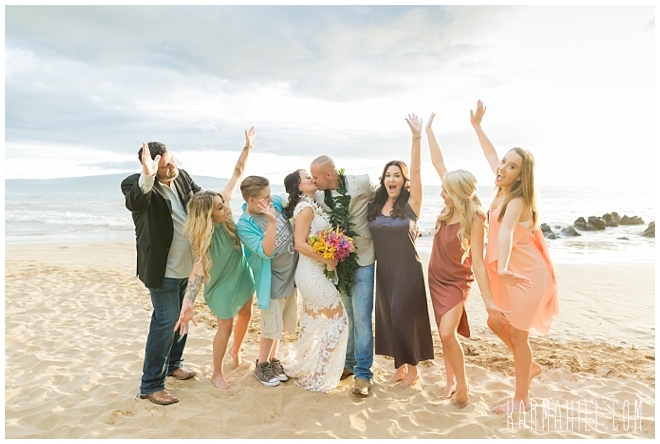 This group was an absolute blast and completely embraced the 'come what may' spirit. 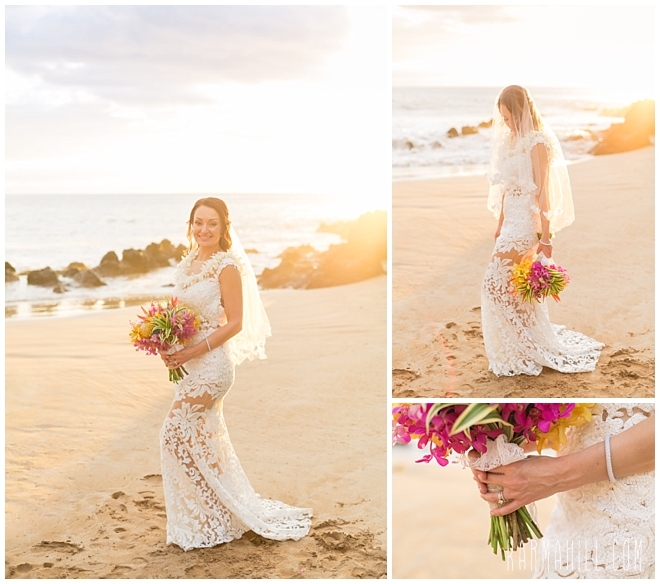 After nearly leaving the wedding dress on the plane and the veil in the hotel room, this gorgeous bride didn't let anything phase her. 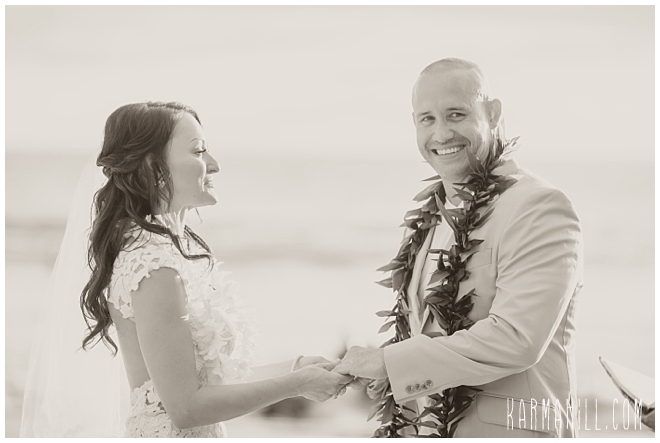 Both she and Eric could agree that anything that happened, rain or shine, would just be a part of their amazing Maui Wedding day story. 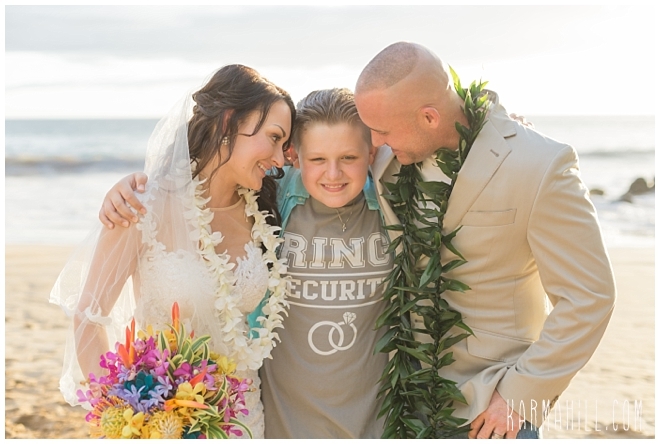 You won't find a better attitude or approach to a day normally riddled with high expectations than these two have. 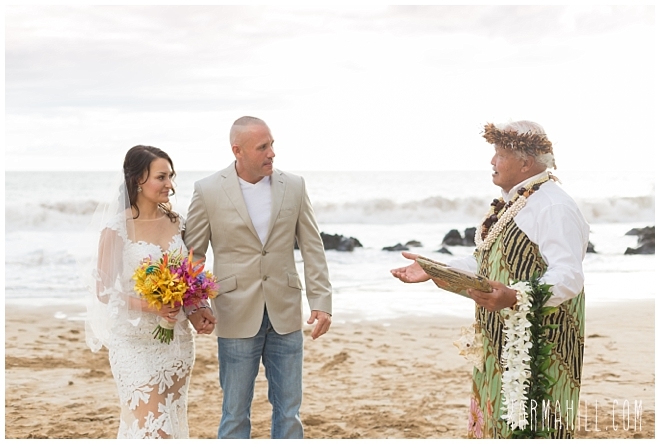 And so, under the watchful eye of Eric's son, aka 'Ring Security' and "photographer's assistant," Laura and Eric were married in front of loved ones on a gorgeous beach. 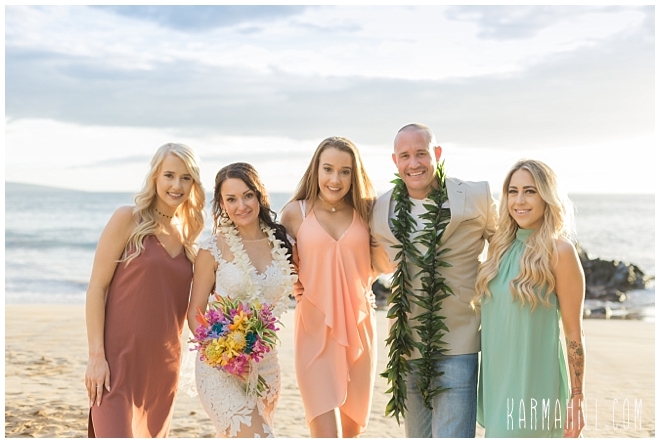 In the end, that's what matters. 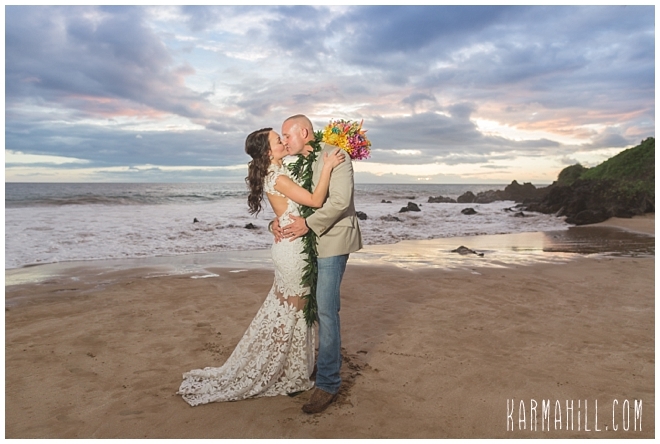 We are so happy for these two and we are grateful to have been on hand to capture it. 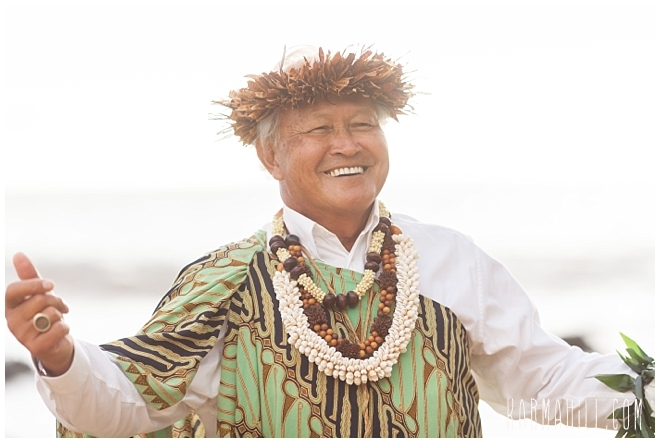 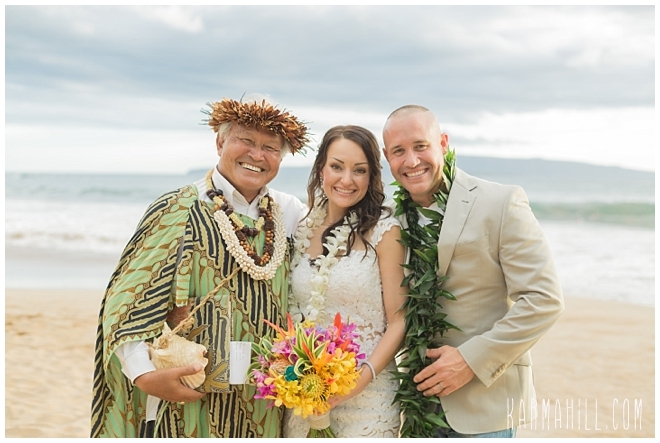 Congratulations, Mahalo, and Warm Aloha!!! 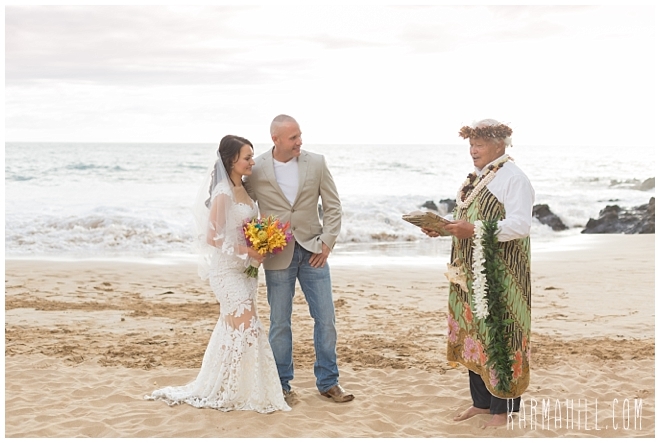 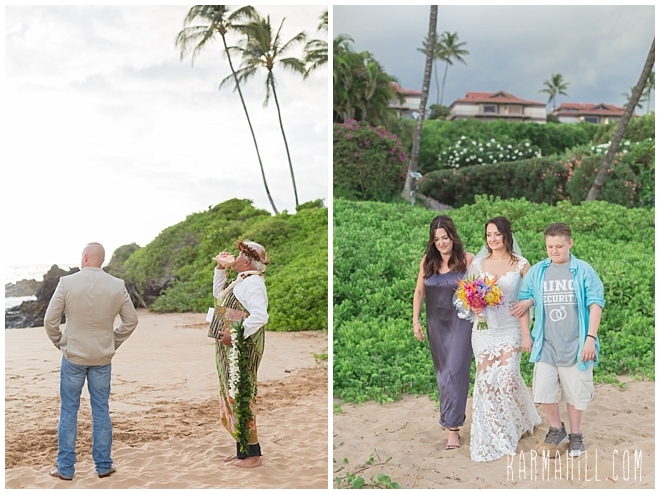 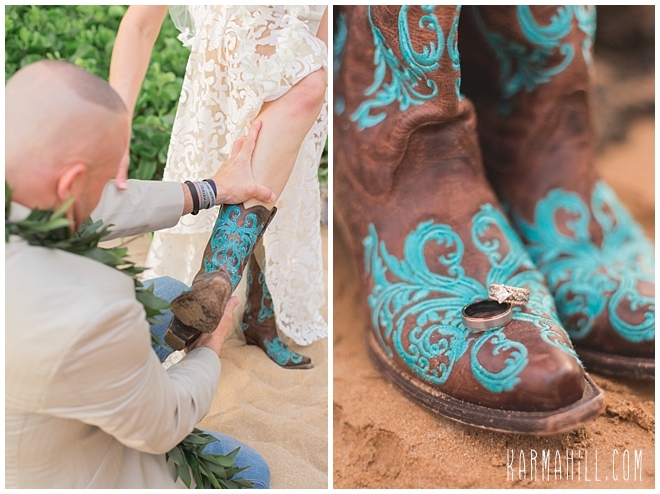 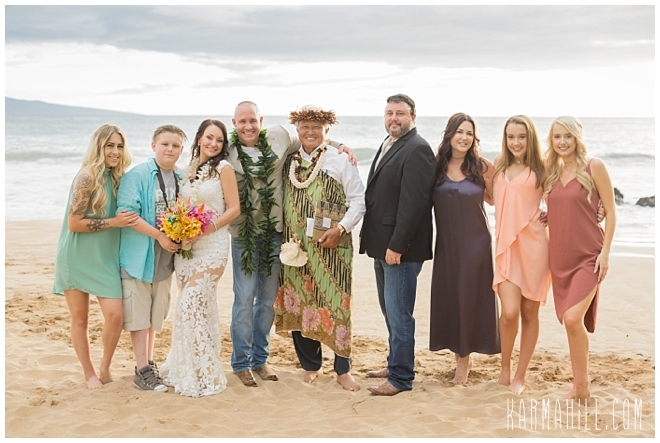 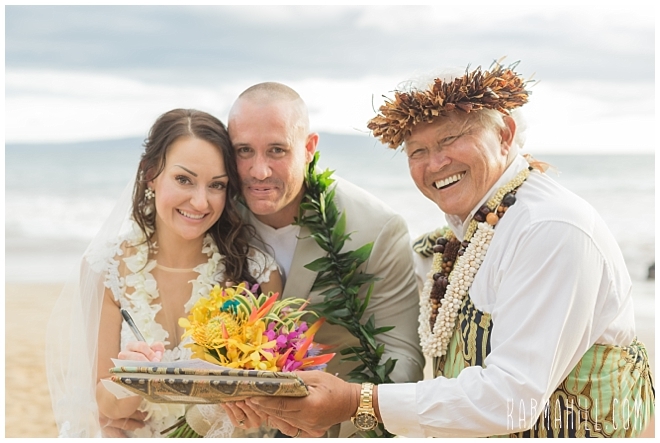 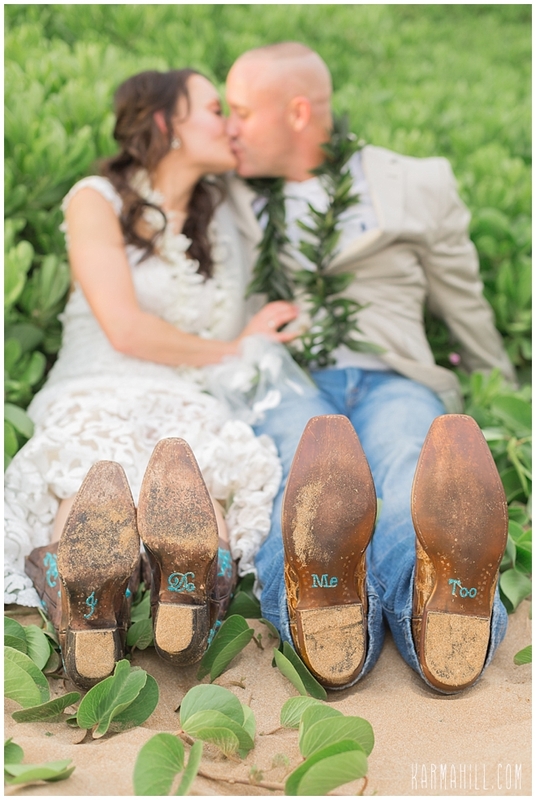 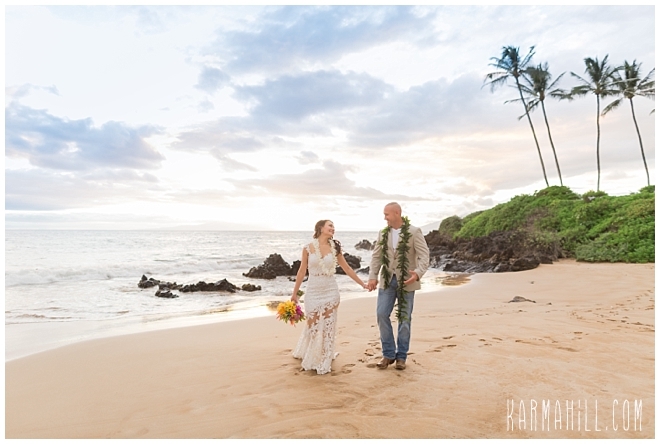 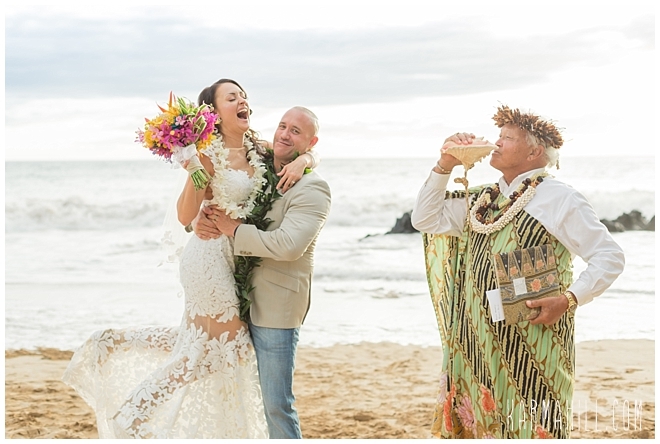 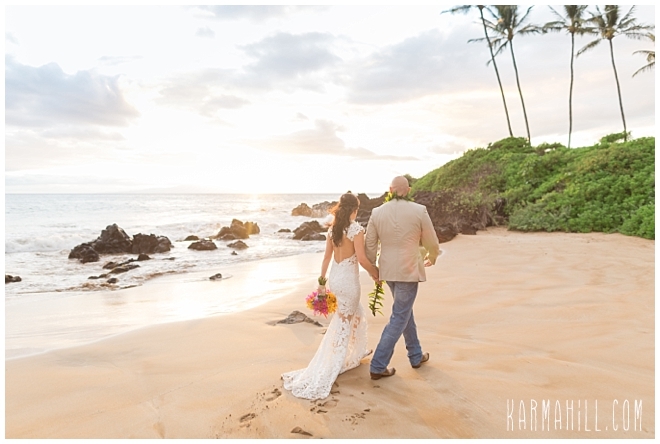 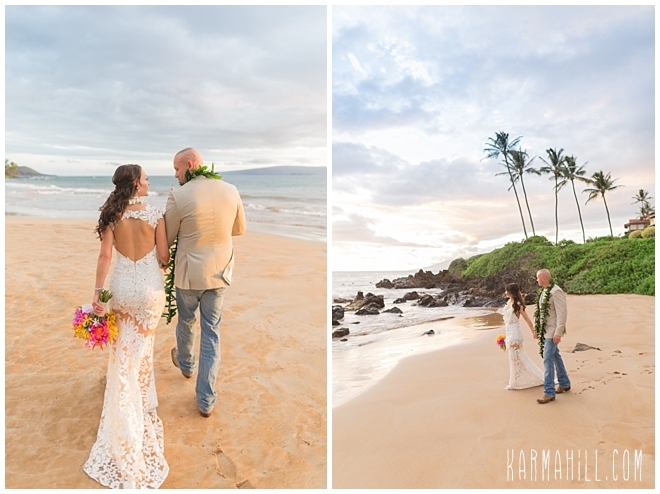 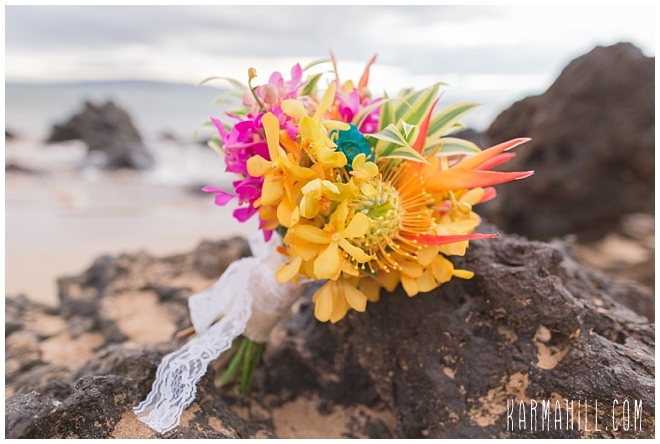 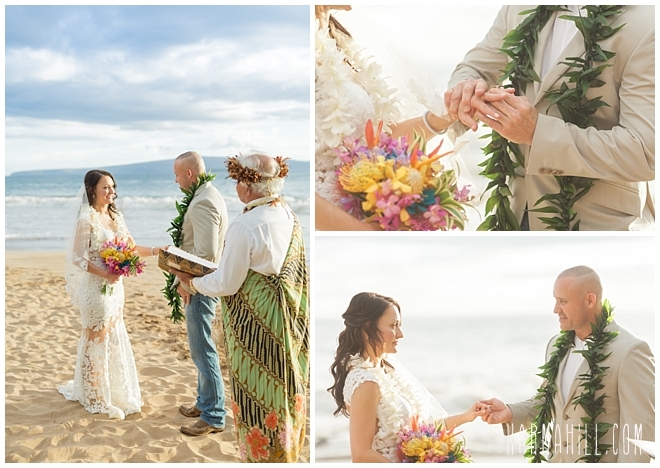 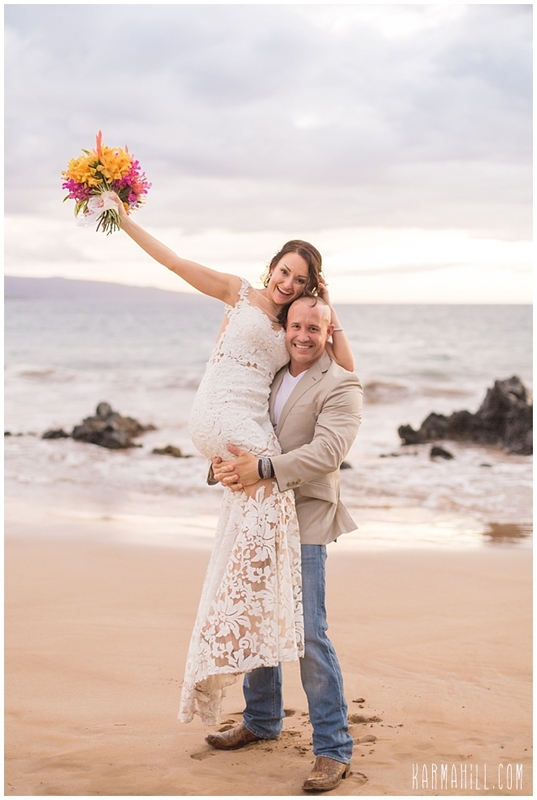 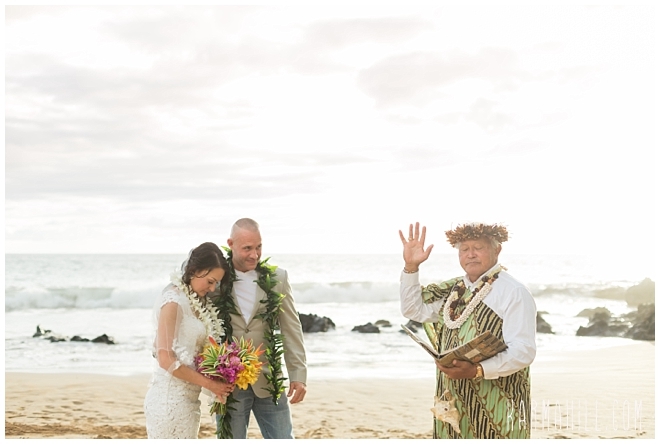 Check out Claudia & Saul's Maui Wedding!